Hi, I am your go-to guy if you want to get things done in Vietnam. I prepare you to meet factories and introduce you to them. May I help you connect with CSR compliant children clothing manufacturers in Vietnam? Kids apparel is made in Vietnam. You will get the best pricing from factories that specialize in kids apparel. I know many factories that make both adult and children clothing but pricing is high. It depends on your quantities too. Manufactures that specialize in children clothing tend to have high MOQs like 5,000 per style two colors. Suppliers that make both kids and adults often have smaller MOQs like 1,000 two color ways. Are you sourcing a children clothing manufacturer in Vietnam? Do you need the factory to be WRAP certified? Do you need a metal detector? Does the fabric need to be Oeko Tex certified? Whatever the case, I can help you connect with a children clothing manufacturer in Vietnam. Let's schedule a Skype chat and get you moving ahead. Why did you search for a children clothing manufacturer in Vietnam? Are you searching for a children clothing manufacturer in Vietnam. 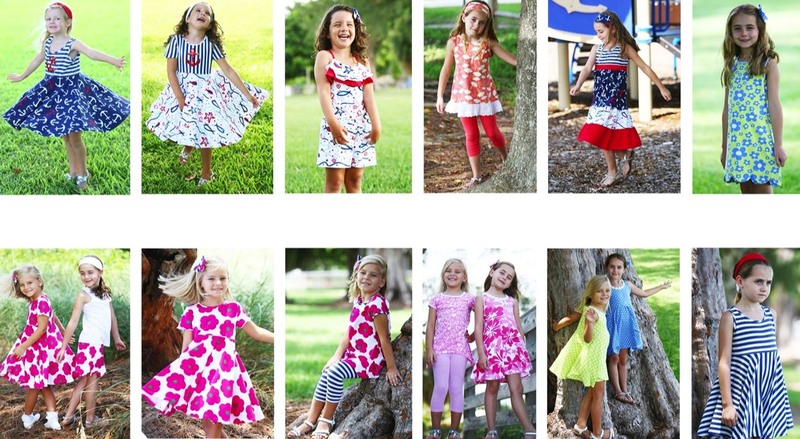 Nha Be has produced fashionable childrens garments for brands in US, Europe and Russia. Nha Be exports to countries like Russia, and USA. Children's shirts, pants, dresses, shorts - you name it they can do it. Their Oeko Tex Children's Garment Factory is always working with new fabric blends and trying new pattern techniques. If you need difficult accessories, they know who to source locally to get the accessories you want. If you have special folding instructions, Nha Be can accommodate your needs. They also produce fabric: cotton spandex in Vietnam. Weight range is from 160 to 220 gsm. Customers place orders with Nha Be thanks to the quality cotton spandex fabric made in Vietnam. Please contact me with your inquiry to get started working with a children clothing manufacturer in Vietnam. The key to getting a good price for children clothing production in Vietnam is tapping into the minimum wage in Vietnam which stands at VND2.76-3.98 million ($121-175) per month. The lower minimum wage is payable at factories outside the cities. I can introduce you to children clothing manufacturers outside the metropolitan areas. One thing to keep in mind about min wage is that most factories are not paying minimum wage. They are paying much higher. They have to, to keep experienced workers. There are so many new children clothing factories opening every year in Vietnam that the workers have options and they will chase a higher wage. If you are manufacturing in Vietnam then you should keep your eye on what I call the "market wage" not the minimum wage. The market wage is between $200 to $300 for an entry level manufacturing job. Experienced workers are commanding monthly wages from $300 to $800 per month. These are the numbers you should use in your business planning. When people hear about the minimum wage increase in Vietnam the first question they ask is, "why is my China price cheaper than the price I am quoted in Vietnam when China market wage is double that of Vietnam?" There are two reasons. First, Vietnamese factories always give out high initial quotations because they can. Second, Vietnamese factories must buy the majority of raw materials from China which gives China a competitive advantage. The key to taking advantage of the minimum wage increase in Vietnam is to demonstrate loyalty to a Vietnamese factory and work closely with them to get the price down to where is should be given the lower Vietnamese labor cost. Fact is that there are good children clothing manufacturers in Vietnam and China. You have to meet as many as you can and find the one that fits best for you. China minimum wage is around $300 per month. The working wage is much higher along the coast. The Chinese still have the advantage of cheap fabric which offsets their high wage. Thai Son is a factory based in Ho Chi Minh City lead by Mrs. Sim. Thai Son makes complicated children garments with appliqué, embroidery and sequins. They are a qualified kids garment factory in Vietnam. They can help you produce fabric and export garments from Vietnam. Please contact them by emailing [email protected] with your inquiry to get started exploring complicated children clothing manufacturing in Vietnam. How do most Vietnamese factories work? They make garments from your designs. They need a tech packs from you. When they receive the tech pack they can estimate the price. If you provide them with a target price it will be much easier for them to quickly decide if it make business sense for you to work with them. 6. 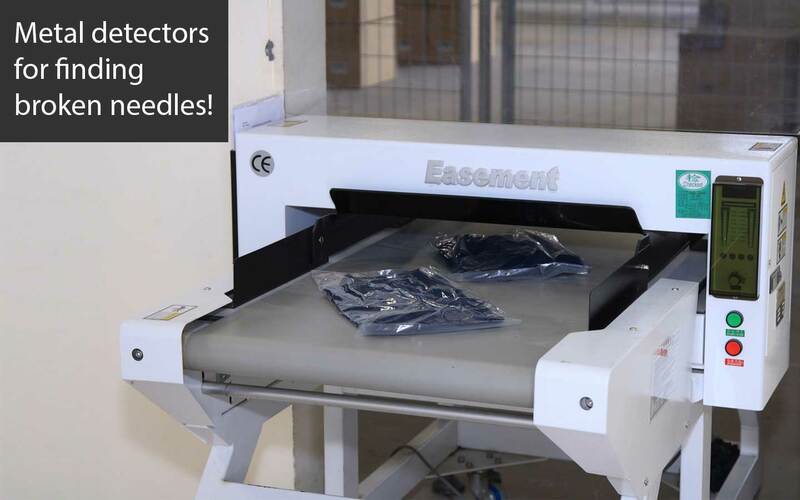 If there is embroidery then we need to know the needles per inch and see an image of the embroidery. Send Thai Son children textile company in Vietnam your tech packs today!